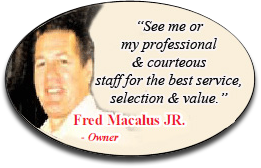 Fred’s Jr's Minnesota Wholesale Tire opened in 2008, and Fred has been in business since 1975. As a T3 Certified Auto Center and NAPA AutoCare Center, we provide honest automotive repairs and tire services - now with two locations to better serve you. Our White Bear Lake auto shop serves customers throughout St. Paul, MN, Maplewood, MN, Ramsey County and more! 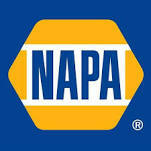 Our Forest Lake auto shop serves customers in and around Wyoming, MN, Stacy, MN, Northbranch MN, and Lindstrom MN. Contact us for brake repair, exhaust system repair, A/C service, roadside assistance, transmission repair, and other auto repairs. We even rebuild new and used motors. We employ ASE-certified mechanics for your biggest and smallest auto repair challenges. Our tires include MICHELIN®, BFGoodrich®, and Uniroyal®. We're open Monday through Friday 7:00 AM – 6:00 PM and Saturday 7:30 AM – 2:30 PM. We also perform power coating, aluminum welding, and wheel repair.